"He is currently playing the lead role in a feature film to be released in 2016." So reads a line from Paris-based, Irish writer Rob Doyle's biography on his official website. IMDB.com and Google yield no further clues as to what feature film this might be. 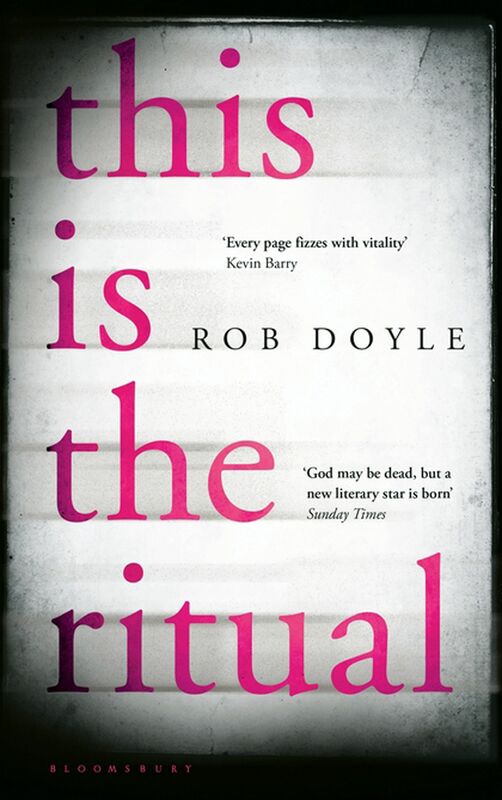 One might be forgiven for thinking this is Doyle's idea of a literary hoax - given how his first collection of short stories, and second book, have a postmodern penchant for blurring the line between fact and fiction. This Is The Ritual - Doyle's follow-up to his critically acclaimed debut novel, Here Are The Young Men, about three Irish teenagers on a post-graduation binge - opens with John-Paul Finnegan, Paltry Realist. In it, said Finnegan, a frustrated writer of an indulgent novel in 13 volumes, unleashes a rant on the sorry state of Irish literature today, while sailing on a ferry named Ulysses, no less. The public does not read books anymore; literary circles judged a book's value on whether it is published; and Bloomsday, the annual celebration of the events of James Joyce's novel Ulysses, has become nothing more than a tourist trap. "Irishmen are terrified of the word literature. I can guarantee you that if I were to suddenly turn around... and roar the word literature at the top of my lungs, the vast majority of these people would run to the sides of the ship and hurl themselves over the edge to be drowned," asserts Finnegan in his vulgarity-flecked monologue. It is terribly bold and irreverent - and very funny, if it did not ring tragically true for writers struggling to make it in today's publishing climate. With that salvo, Doyle lays into the writing life with the rest of his stories. Being a writer is no cake walk, it involves more than the usual dollop of self-doubt and it is no wonder that his characters frequently wind up in Nietzschean depths. In No Man's Land, a university dropout comes face to face with his own nihilistic future in an industrial wasteland. Exiled In The Infinite - Killian Turner, Ireland's Vanished Literary Outlaw is written in the form of a biographical essay, charting the life of obscure Irish author Turner, complete with footnotes. Both form and subject seek to explode, it seems, an idea of Irish literature along nationalistic, recognisably marketable lines. On Nietzsche actually has a protagonist attempting to write a book on the German philosopher, only to end up in surreal pointlessness. Elsewhere, Doyle writes accounts of failed fictional Irish writers, has a narrator contemplate a 43-minute video of a certain body part where the sun does not shine (taking navel-gazing to ruder heights) and fakes a final e-mail from a crazed Irishman. Not all the pieces are fascinating, and, at times, one wishes Doyle would just tell a story straight (as he does to good effect in a tale about X who marries K, after savaging her book in a review). Thankfully, the dull moments are few. Praised by the likes of Colm Toibin and in possession of boyish good looks, Doyle might just signal a new breed of serious authors as movie stars. But even if no feature film is forthcoming, it is unlikely he will sink back into obscurity. If you like this, read: The Biographical Dictionary Of Literary Failure edited by C.D. Rose (Melville House, 2015, $25.28, Books Kinokuniya), a satirical collection of fictional authors who have, well, failed.